AUDIO: DEEP SOULFUL HOUSE: The Move Compilation (Tokyo Dawn Records) | SOUL OF SYDNEY FEEL-GOOD FUNK SOUL DISCO vibes & beyond. This one’s strictly about house music – but from a TDR perspective. From A like Amalia to V like Vindahl, this first issue of ‘The Move’ features nearly all of your favourite TDR artists in a house frenzy. 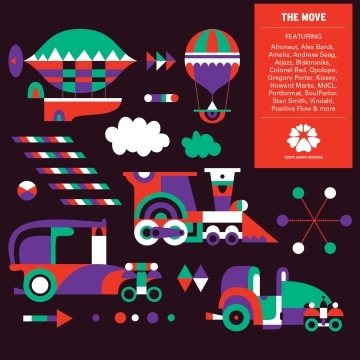 With previously unreleased remixes, edits and DJ versions from the likes of Alex Barck (Jazzanova), Andreas Saag (Swell Session), Atjazz, Blaktroniks, Kissey, Opolopo, Om Unit and more, it’s definitely time to get your move on! This entry was posted in funk and tagged Gregory Porter, Howard Marks, Jazzanova, Jenny Wilson, Kissey, Quadron, SoundCloud, Twitter. Bookmark the permalink.